**GREAT NEW PRICE** This spacious 2450 sqft 3-4 bedroom family home located in "The Properties at Maple Bay", boasts 10' ceilings in the entrance, a living room filled with natural light, stained glass windows, dark wood trim, stone feature wall and accent lighting. The large kitchen with tile counter tops and loads of cabinets opens to the family room, and along with the dining room, a great office/den, laundry and powder room complete the main level. Up is a large master bedroom & 2 spacious bedrooms overlooking the valley with glimpses of Quamichan Lake. A second family/media room up is an ideal space for kids or quiet time. 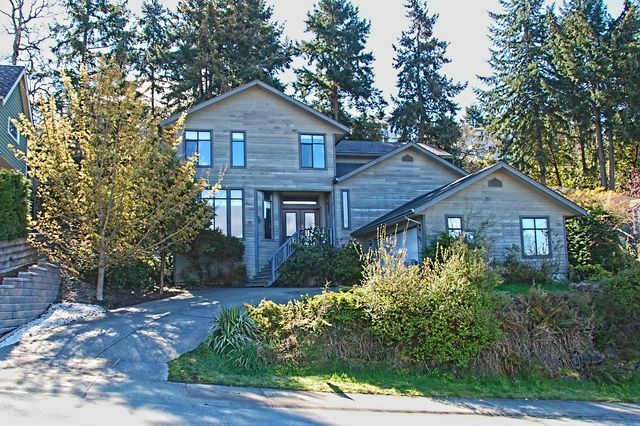 Close to school, playing fields, tennis courts, Maple Bay marina, and Mt. Tzouhalem for biking, hiking and walking. Full length rear deck offers built in seating and table, a pond/waterfall and good privacy. Other features include a heat pump, plenty of storage, mature landscaping and a double garage.